Unilever has launched a new range that blends its Flora margarine with butter. The range includes a salted version and a salt-reduced option. Both products are made by combining butter and sunflower seed oil. Unilever says its two new spreads a have 40 per cent less saturated fat than regular butter. 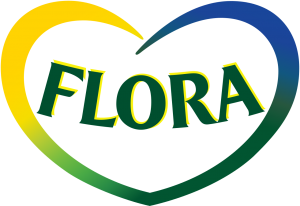 Flora has been sold by Unilever since 1964. At the time margarine was considered a butter substitute. In those days, consumers and medical specialists were concerned about the level of saturated fats in butter. Flora with Butter is available now from supermarkets across Australia. Peters Ice Cream’s Connoisseur brand has launched a New York inspired ice cream range.